Alright, it's official. I've started doing some freelance work for Stargate Media. A super cool VR production company which also has an awesome AI 360 cam coming up which they are making all by themselves (even though they're betting on their hardware product their software will become pretty valuable if you ask me. Well, actually certain of that). With a team of just three (plus a few freelancers) they surprise me every time I talk to them with all those impressive clients they've been doing work for. Seriously, Rihanna?! Jay-z? It's too wild to even wrap my head around. They've even done a production in Frank Sinatras previous home. And Stargate, the music duo from Norway are also in the owner side of. Say no more. Renate Fossum and Bjørn Morten Nerland have been in the 360/VR game for more than 7 years making them super competent. Innovative and daring for sure but they did it! They still exist, even though scaling their business has been a problem. I've realised that the marketing part they're not really good at, they'd like to hide, typical artist. Don't want to brand themselves too much. But hey there.. Lets start doing that! They do way too many great things to not be out there showing their awesome stuff. 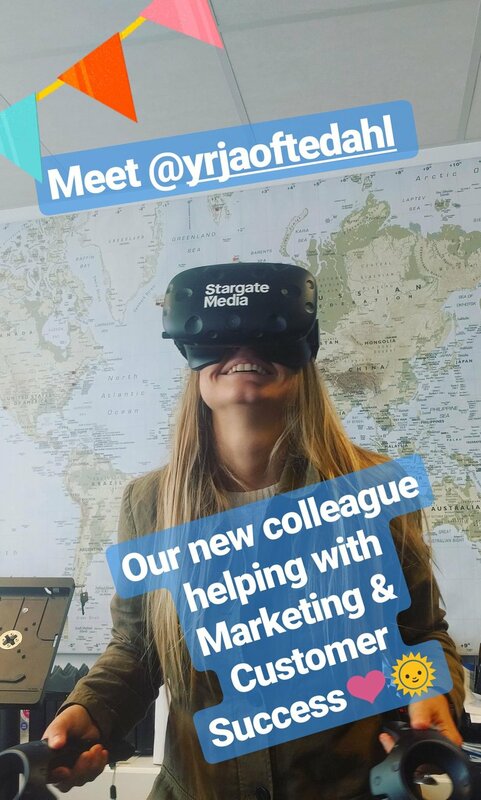 I'm excited to dig into this company learning more about this kind of production and the Virtual Reality world. The future is heading into Mixed Reality, pretty innovative daring people those peeps. Going for this as early as 2010. Some companies and some people are not onto this SoMe game yet. But its very important to step this us. I'm so proud to be by their side! You can check out Stargate Media's Youtube channel here.